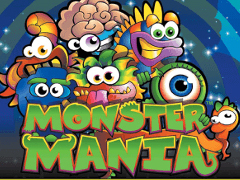 While most online pokie players tend to gravitate towards the newest and shiniest games, sometimes it’s worth taking a look at the back catalogue of titles that have been around for ages, as occasionally they could find one like Monster Mania. This has been around for years and in many ways the design and gameplay show it, but it’s certainly a fun pokie to look at with a couple of simple bonus features to make it a potentially rewarding one to play as well. What we have here is a 5-reel game that has 9 paylines and a design and gameplay that will appeal to those who like to just spin the reels and see how many wins they can collect as they do so. Coin values are adjusted from as little as 0.25 to as much as 10.00, while players are able to have a stake on just a single line or all 9 of them, which equates to a maximum wager of 90.00 per spin. If players choose to activate anything less than all 9 lines, then some combinations won’t count, although scatter wins are paid out no matter how many lines are in play. Wins are created by at least 2 or 3 examples of the same symbol landing on an active line across adjacent reels running from the one on the left side. The more that land across the line, the bigger the payouts will be. Looking at the paytable we see various types of fruit making up the bottom end, with a banana being worth 1x the line bet when 3 stop across the reels, 5x for 4 of them and if 5 land, players are rewarded with a prize equal to 50x the amount staked per line. Other fruit symbols, in order of value, include grapes, watermelons, oranges and the highest value apple, which pays 5x, 25x and 250x the line bet when 3, 4 or 5 land on an active line. Further up the scale are the cute monsters, all of which will pay a prize when only 2 of the same type land on a line. Some kind of crazy looking snake thing is the lowest value monster, and he’s worth anywhere from 1x to 300x the line bet depending on how many appear, while we also have a big green eyeball creature, a blue beastie and a multi-coloured monster who is possibly best described as a frog/rabbit combination. The highest value standard symbol is a cross-eyed furball who pays 5x when 2 examples land on an active line, going up to 1000x the stake per line for a full 5. There are 2 bonus symbols in this game, first up is the wild, which comes as a big smiling monster that’s basically a mouth with eyes. His job is to substitute for all other symbols, apart from the scatter, to help complete winning combinations. That’s all he does however, as landing the wild across a line won’t be worth any extra payouts, and unlike some other pokies where wild substitutions pay 2 or 3 times the base value, there’s no such reward here. 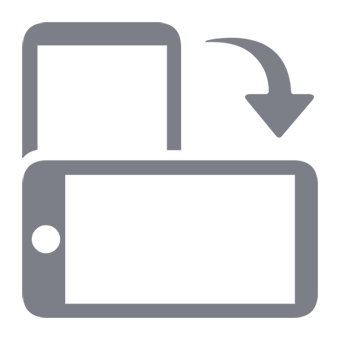 The other bonus symbol is the scatter brain, which, as the name suggests, is a disembodied brain complete with eyes and a smiling mouth. It can land anywhere on the reels to pay out a prize, so there’s no need for it to be across a line, while the amount won is multiples of the total bet per spin, not just the line bet. Getting 3 scatters at once pays 10x, if 4 appear, players win 50x and should 5 scatter symbols stop on the reels, then the reward will be 100x the amount staked on each spin. The age of the game is again made apparent by the lack of any side games, so while many pokies have free spins triggered by the scatter symbols, there’s none here. Just basic gameplay. Is it a Beast of a Game? Despite the simplicity of Monster Mania, it’s still quite a fun pokie to try out, and that’s all down to the quality of the images. The bright and colourful monsters all look like they are having a good time, and as only 2 examples need to land to equal a win, hopefully players will have a good time spinning the reels. There’s no getting away from the fact that this is a bare-bones pokie however, with nothing more than wild and scatter wins to add variety to the gameplay. Many people like Monster Mania for just that reason, as they don’t want to be distracted by lots of side games, which is probably why it’s stay popular for so many years.